Tis the season of the wreath! 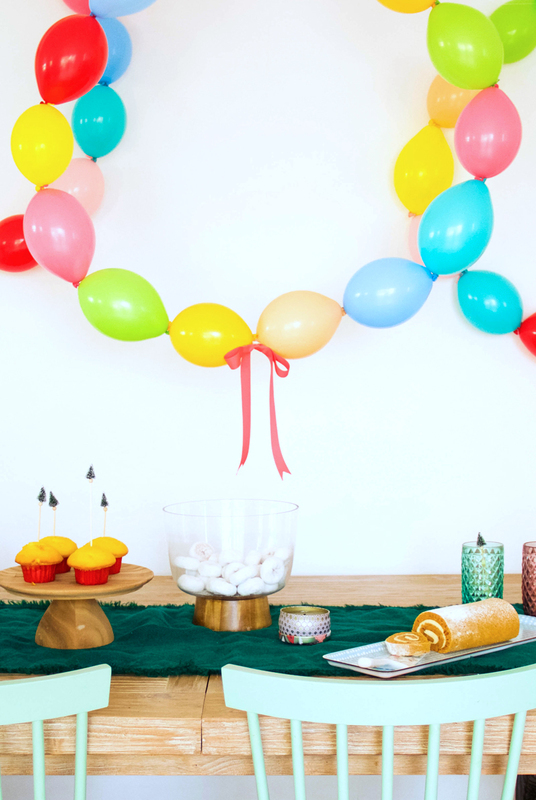 I can think of no better way to create a fun holiday wreath display than with balloons, of course. Fill them, tie them and float them for an instant room update. 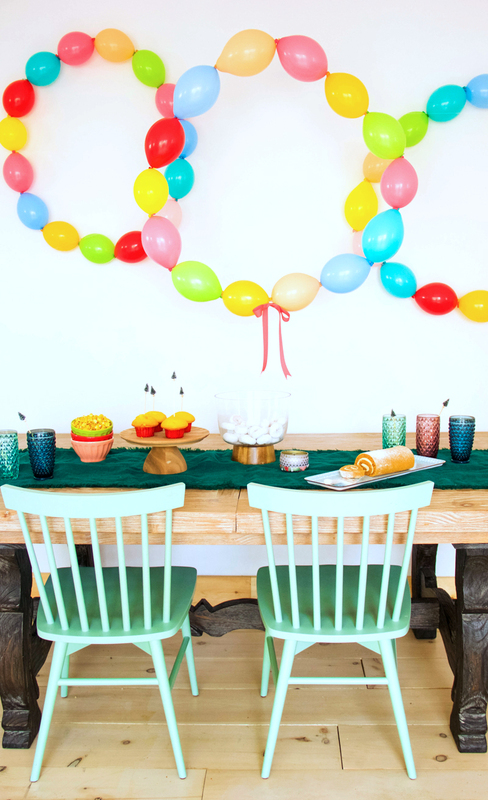 We created a series of colorful balloon wreaths for Balloon Time to hang over our Christmas dessert table. They are such great fun! 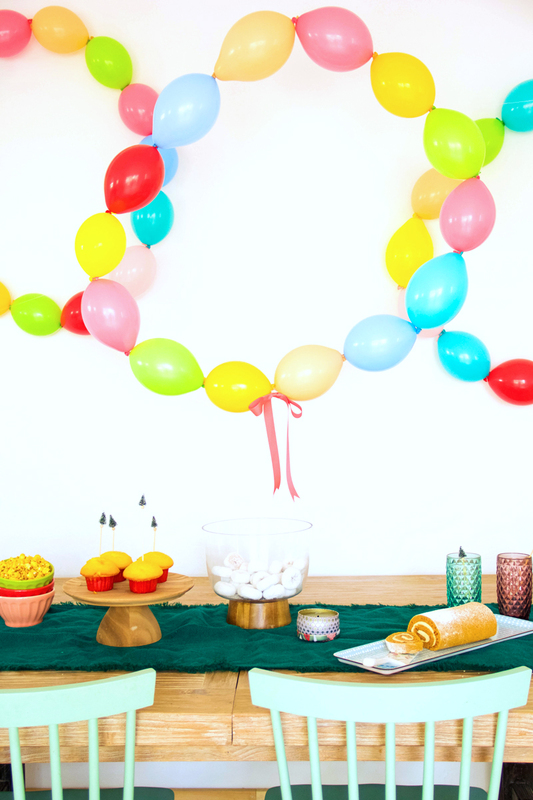 I spotted these fun balloons that tie together… a perfect way to create a chain and then a circle for a festive holiday wreath. 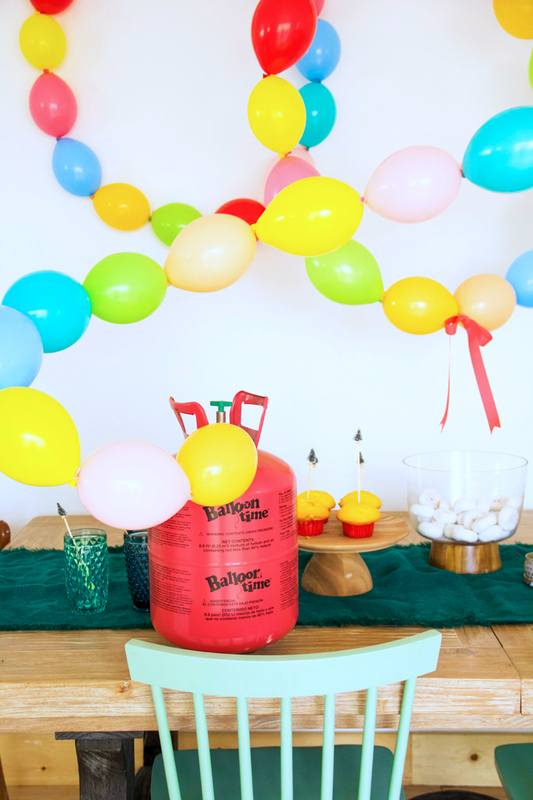 I’m sharing the tutorial for this fun Christmas update over on the Balloon Time site today. 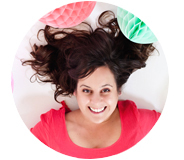 Check out the full post to get my supply list, tutorial and a quick trick for getting that circle shape to work.